Welcome to the Repton Village Website. 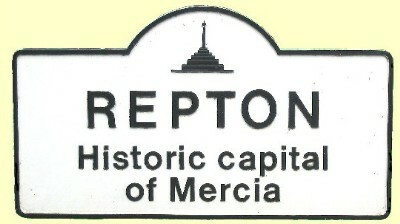 Repton is a thriving village with a fascinating past. It's situated in the Trent valley between Derby and Burton-on-Trent in the county of Derbyshire. On one side of the village is the Old Trent, the remnants of the former course of the river, on the other three is attractive rolling farmland. The village dates back to Anglo-Saxon times and was the place where Christianity was first preached in the Midlands. In the crypt of the church there are still well preserved remains of Saxon architecture. The church with its tall spire is not the only distinctive building - Repton has a wealth of these, many associated with the ancient school. The village is not just about its historical past, it is a vibrant community with many clubs, societies, shops, pubs and other amenities. On this website you will find information on all aspects of village life. Follow the labelled buttons at the top of the page or on the left-hand-side to access the main areas of the website. Village News contains information about life in the village today. This is where you will find pages about local facilities, clubs, latest village news and much more. The Repton Village Society is an organisation that regularly arranges talks and trips on a wide range of subjects of interest to people living in Repton. The Repton Village History Group has a huge archive of historical facts, many of them available through this website. Dip in and find out about the fascinating history of this village. We hope you find the information we have included interesting and useful. Please contact us if you have any information to add or comments to make about the site.